Miami is the cruise capital of the world and is the home for some of the largest cruise lines in the world. PortMiami is going to be dealing with around 52,000 passengers in one day which is a new record for the cruise port. Port of Miami which is the cruise capital of the world is expected approximately 52,000 cruise ship passengers in one day! That day is today, Sunday, December 9, 2018. It will be the most amount of passengers ever to have gone through the port for a vacation at sea. If you’re a cruise addict then you’ve likely cruised out of Miami which still continues to grow hugely. IN 2017 the port handled over 5.6 Million passengers and that is expected to grow even further thanks to a futuristic new Royal Caribbean cruise facility which opened in November. Virgin Voyages which welcomes its first ever cruise ship in 2020 has plans to open a shiny new cruise terminal too. Three cruise lines including Viking Ocean Cruises, Victory Cruise Lines, and Seabourn all started operating ships from Miami and Royal Caribbean had added new sailings for Empress of the Seas and the newly refurbished Mariner of the Seas started offering cruises from the port recently. Carnival Magic recently repositioned to the Florida port and the cruise line’s new flagship Carnival Horizon also has been sailing Caribbean cruises from PortMiami. 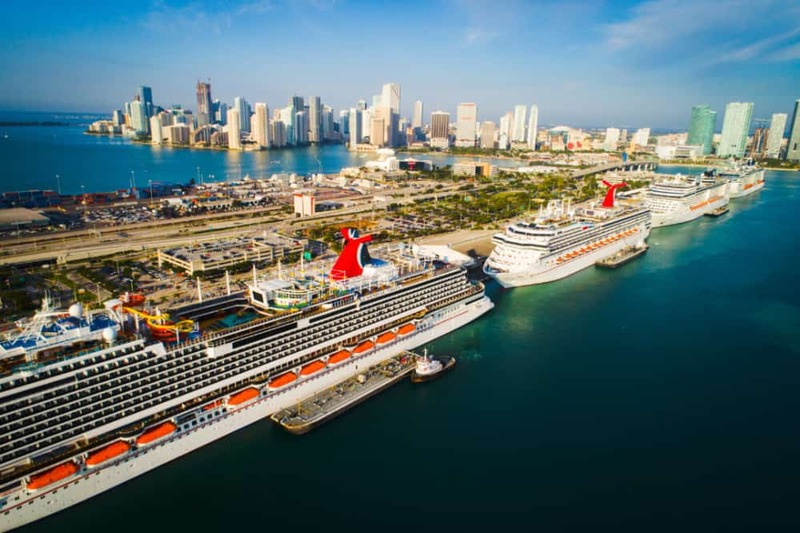 As we move into 2019 PortMiami is set to grow further as the worlds biggest and most advanced cruise ships offer cruises from the capital cruise port of the world.